There are many hair gel available for men but for women there are very less. Style gel gives you a star look but damages your hair as well. But there is one gel which not only styles your hair but also nourishes your hair. Women are always worried about their hair for any occasion but now there is no worry about hair. You can style your hair in just few minutes. 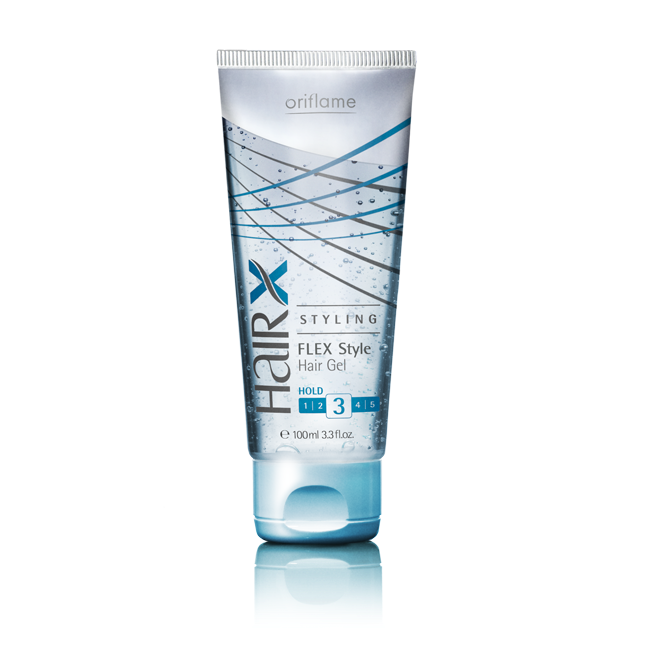 This hair gel is Oriflame HairX styling flex style gel. To keep your hair look good even longer use Oriflame HairX Styling Ultimate Hair Spray. 11. After shampooing and conditing apply HairX styling extreme volume mousse. And blow dry it. 22. After drying apply HairX styling flex style hair gel and give your hair any style. 33. Make a side section of your hair. In the small section, take a tail comb and make a small part of it and tie a small clear rubberband on it. Do this twice or thrice. 44. After doing this, take the back section of your hair and with the help of tail comb, take small part of your hair and backcomb it. Do this till the last part of your hair. 55. Now take other section of your and do it as above. 66. Then apply HairX Styling Ultimate hair spray. 77. Perfect party look is now ready. Wowwww, now we women need not worry about our hair as Oriflame offers hair gel for women, which not only style our hair but also nourish and long lasting, smoothen hair, shine & volume.